AOO 4.0 Release Notes - Apache OpenOffice Community - Apache Software Foundation for your Wiki! One other thing that you will notice immediately, on this page, our website and in other places, is our new logo. The new logo is the result of many design iterations, collaboration among talented designers and a contest where 40 logos were rated by over 50,000 users. We wish to give a special "hello" to our upgrading users. We hope you like the new features, especially the Sidebar UI. 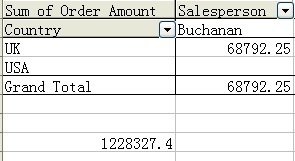 This feature was based on code contributed by IBM, from their Lotus Symphony product. We adapted that code, and based on several rounds of feedback from users like you, improved it and integrated it into OpenOffice. And for new users, welcome to the community! We hope you enjoy using Apache OpenOffice, the leading free and open office productivity suite. Support questions are best directed to our community support forums. Bug reports (but not support questions) should go to to our Bugzilla issue tracking system. General questions can also be sent to our public users mailing list. You can also find us on Twitter, Facebook and Google+. At Apache we work transparently as an open community of volunteers. We develop open source software to benefit the public. We're not going to beg you for monetary contributions. But if you are interested in joining us, to help us make the next great version of OpenOffice, then we want to hear from you. We're not only programmers, but are a community of testers, UI designers, web designers, technical writers, accessibility experts, translators, social media experts, etc. Volunteers in all areas are welcome. More information can be found on our Get Involved page. 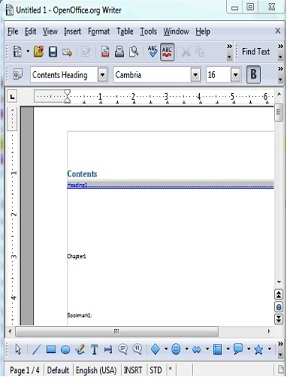 The Sidebar is a major new feature of the user interface in all of the OpenOffice applications. The Sidebar makes better use of today's widescreen displays than traditional toolbars. The 'Properties' deck is context-sensitive and shows panels with the document properties that are most frequently used for the current editing task. 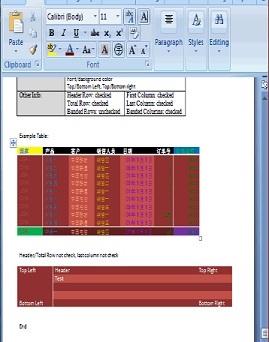 Screenshots of Writer with contexts for text, bitmap, and shapes (from left to right). The new OpenOffice logo has been pasted as bitmap (center) and editable outlines (right). If you find that you don't use a particular panel very often, just click on its title and it will collapse to a single line of text. 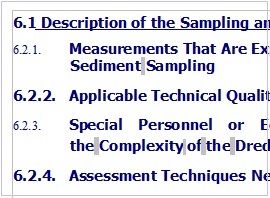 A small + or - at the left side of the panel title indicates whether the panels is collapsed or expanded. Eleven property panels have been migrated from IBM Lotus Symphony: Alignment, Area, Cell Appearance, Graphic, Line, Number Format, Page, Paragraph, Position and Size, Text and Wrap. Seven panels come from the old Impress tool panel: Available for Use, Custom Animation, Layouts, Recently Used, Slide Transition, Table Design, Used in This Presentation. Four are non-modal (ie non locking) dialogs: Functions, Gallery, Navigator, Syles and Formatting. 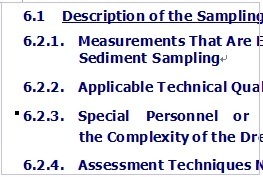 Panels from Symphony, the old Impress task pane, OpenOffice dialogs (from left to right). The width of the Sidebar can be adjusted. The controls adapt their size accordingly. If you need more space then it can be undocked — and possibly moved to a second display — or it can be reduced to a thin tab bar. A single click on one of the icons and the sidebar is back. Different widths of the sidebar: maximum width, default width, too narrow to display content, collapsed to tab bar (from left to right). 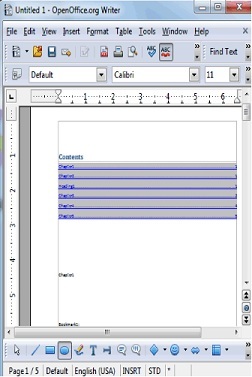 Of course, not all of OpenOffice's functionality can be represented by controls in the Sidebar. If you need an advanced function then just click on the "more options" button in the title bar of a panel to open a dialog with many more options and properties. Click on 'more options' to get, well, more options. 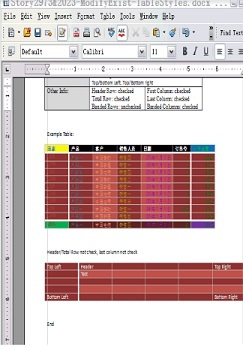 More information can be found in the OpenOffice wiki. Fidelity and interoperability improvement is an ongoing goal for Apache OpenOffice. And there are many improvements going in to the new version. Here an overview of some of the major fidelity improvements since the Apache OpenOffice 3.4.1 release, including features, enhancements and defect fixes. The Color Palette is enhanced and extended with a selection of more useful colors, arranged in a new scheme to make finding colors simpler. The new Palette is a mix of the Lotus Symphony Palette combined with the most useful original colors. The Gradients are enhanced and extended with new, more useful ones, mainly taken from Lotus Symphony. The old ones are kept, but moved to the end of the list (not in the picture). These Gradients create much nicer fills for uses such as Slide Backgrounds. Gallery themes added from Symphony. Selection Handles were reworked to be more distinguishable. Transparency was added to give a slight 'clue' when the Handles cover something, but only for the Handle's fill (not their outlines) to not make them harder to view as necessary. The design was slightly rounded. Colors were tweaked a little bit for better identification (mainly when Handles are selected). When Keyboard-travelling over handles (CTRL-TAB) yellow handles used for CustomShapes now blink as the other handles to visualize the active handle correctly. 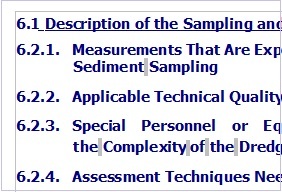 For many occasions the selection of objects or multiple objects got enhanced using the selection color from the system. 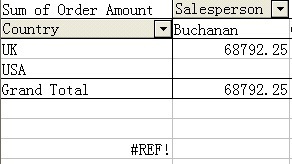 Usage and fetching of that system-wide SelectionColor was unified to guarantee it for all selections on all Systems. 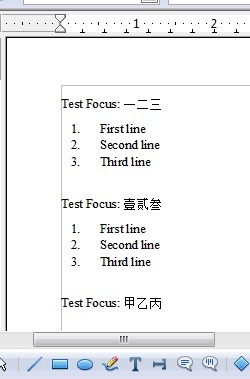 A slight blinking was added to identify objects where text can be added by starting to type or pressing return. 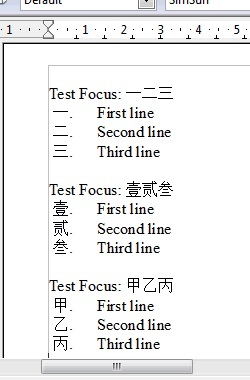 This is used in various places, such as: Objects with TextEdit mode, highlighting of objects as Drag&Drop target or object manipulation (dashed black/white lines were used before). The PrintPreview in the Print dialog is now fully AntiAlialised. The previous version was not, thus thin lines could vanish or produce missing parts. 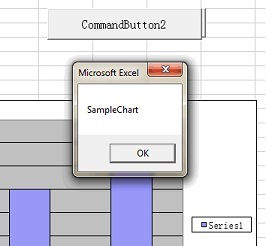 The conversion to Bitmap graphics is greatly enhanced for all kinds of draw objects, including chart OLEs and others. This is not only useful for internally converting objects to bitmaps, but also used for exports where bitmaps are needed, and the system clipboard. 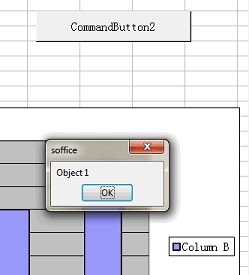 It works with single objects as well as multiple selections. Transparencies of the object and AntiAliasing on its edges are perfect now. The new Bitmap FillType preserves Transparency, the old version was not capable of this and always added a white background. It allows the use of vector graphics which stay vector graphic when processed (especially useful in e.g. printing, PDF and other exports). It supports SVG and Metafile as FillData, no longer restricted to BitmapData. Tiling, AutoFit, Size, Position and Offset settings are fully supported (in Area dialog). Animated GIF's are now allowed as FillTypes. Use a SVG or import a vector format (WMF) to define a new FillStyle. 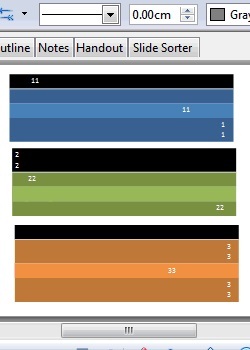 Think about the possibilities for filling the Backgrounds of Pages, Chart bars or other items. 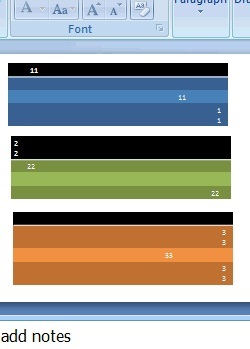 This will be used as vector data when printing or at PDF export. All applications now support transparent and anti-aliased versions of, for example, DrawObjects in the selection to be exchanged with external applications. This is a result of the enhanced conversion to Bitmap and adding the PNG graphic format to the supported clipboard formats. Non-Graphic objects are converted on-demand, and graphic objects are copied with full transparency and AntiAliasing support. It is now possible to Copy/Paste any object to an external PixelGraphic application, modify it as needed, and copy it back to any OpenOffice Application without quality loss. This allows everyone easy and complete image manipulation outside the Office with the tool of his choice and the capabilities he needs. Drag&Drop has been enhanced by an 'internal' mode. It is now possible to Drag&Drop anything 'onto' an existing DrawObject to change it's graphic or fill style when holding CTRL+SHIFT (Ctrl+Cmd on Mac) during Drag&Drop. As visual control, the target object for the Drag&Drop is visualized using the new Selection Visualization and a unique MouseCursor. (a) Draw an object, e.g. a rounded rectangle with an outline, Draw an arrow object, choose fill and line style for it. (b) If you Drag&Drop onto the target object, it copies FillStyle and LineStyle. (c) If you convert the arrow to metafile (e.g. using context menu), Drag&Drop onto the target object, it gets filled with the arrow's vector data. This comes in very handy if you need to quickly define an object FillStyles or want to copy the GraphicStyles of one object to others. You can use the Gallery as in-betwen space for DrawObjects or GraphicObjects used for that purpose. You can directly Drag&Drop from there onto DrawObjects. You can Drag&Drop from external sources onto DrawObjects. It is practical when you change the LineWidth of an Object which has ArrowHeads defined at its start/end when the ArrowHeads used get adapted to your LineWidth change; else you have to adapt these by your own. This was already done for Draw and Impress. This is now unified and centralized and works in all OpenOffice applications. Some enhancements for SVG export were added to avoid some quality losses. More improvements are planned in this area for future releases. If an imported SVG/metafile is manipulated, it needs to be broken up into DrawObjects. This code was improved in this release. More improvements are planned in this area for future releases. Enhancements and bug fixes were made in the SVG Import code . Thanks to all Users who were reporting issues and providing test documents for SVG. If you have a SVG file which looks different than it should, do not hesitate to attach it to an issue in the Apache OpenOffice Bugzilla. When working on a GraphicObject it is allowed to set a Crop region for it. When using the interactive mode for that, the new version shows the non-visible part of the Graphic content (the croppped part) as transparent and surrounds it with a light border. This way you no longer have to guess where or how big the cropped data is. When exporting selected drawing objects to formats that support transparency, e.g., PNG, OpenOffice now uses a transparent background by default. This allows to further use graphics created in other applications or for further processing. Connectors no longer disable rotation or shear tools when selected. While this is a small benefit with single connectors, it is very useful when selecting a number of graphic objects and wanting to rotate them. This was requested in the OpenOffice Community Forum, where a user wanted to rotate a drawing made of many draw objects and many connectors by 90 degrees. This is now possible without the inconvenience of deselecting all of the connectors. When zooming out or in small visualizations (e.g. Page Previews) objects or pages using a hatch fill style were poorly visualized since too many hatch lines were shown in a small area. The Hatch Fill Style now uses a minimal line distance to make it look good for visualizations in Edit Views. This was already the case in older office versions, but was lost in the redesign of the visualization. Gradients in metafiles are rotated and sheared (slanted) together with the metafile and so behave similar to bitmap graphics. Start color and end color are included in those gradients now. This improvement becomes visible if you use a small number of gradient steps. All gradients are now shown in presentation mode the same as they are shown in edit mode. 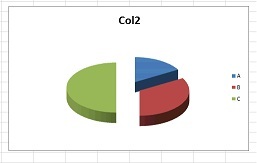 For Pie charts imported from other formats, the Height attribute was not supported. This is added now and makes Pie Charts look more like the original. 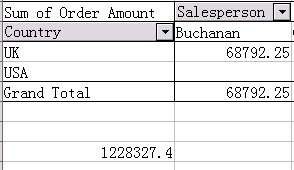 Calc now supports the spreadsheet functions: AVERAGEIFS, COUNTIFS, and SUMIFS. 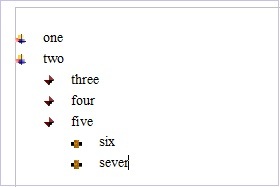 These functions allow you to combine several conditions. Calc now supports the function XOR. 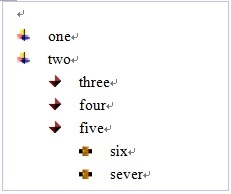 The function completes the already available set of Boolean functions. Calc now supports the functions LEFTB, RIGHTB, LENB, and MIDB. 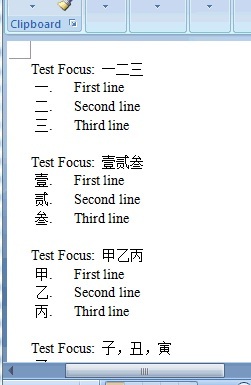 These functions are special versions for DBCS (double byte character set) languages. Calc's RAND function was reimplemented to use the Mersenne-Twister algorithm. Extensions now use a new Toolbar management, see https://issues.apache.org/ooo/show_bug.cgi?id=121577 ; at the moment, Extensions for 3.x that are using the deprecated mechanism will have to be updated to work with OpenOffice 4.0. Many popular extensions, including dictionaries, are not affected by the change. The Menu API has been unified, making it more clear and API-user-friendly. The following interfaces have been deprecated and replaced: css.awt.XMenuExtended, css.awt.XMenuExtended2, css.awt.XMenuBarExtended, css.awt.XPopupMenuExtended. See https://issues.apache.org/ooo/show_bug.cgi?id=121542#c2 for details. Note: extension authors who require more information on the above changes are encouraged to post their questions to our API mailing list. Many resource leaks were fixed. Many resource leaks were fixed, reducing memory requirements and improving application stability. For example, this allows even animated GIFs to be used as object fill style for any object and to transform these in real time (when supported on the system). It also greatly enhances visualization geometry during editing (in the EditViews) when supported. For a complete list of available languages and language packs see this detailed download page. Note: Several other language translations are in-progress and will be released when available. If your language is not listed above, and you want to help translate the user interface, we welcome any and all volunteers. We no longer read or write the legacy StarOffice file formats (files with extensions .sdw, .sdc, .sdd, etc.). Removal of this code makes the OpenOffice codebase easier to maintain. The legacy formats have never been the default format in any version of OpenOffice. Users with legacy StarOffice documents are advised to re-save them into ODF format (.odt, *.ods, *.odp, etc.) *before upgrading to Apache OpenOffice 4.0. This can be done using File - Wizards - Document Converter in OpenOffice 3.x OpenOffice 1.x files (*.sxw, *.sxc, *.sxi) are still supported. PyUNO is now compatible with the latest C-Python 3.x but in order to reduce the impact for existing applications, support for C-Python 2.x has been preserved and remains the default. The internal Python, used by default in the Windows and MacOS-X ports, has now been upgraded with version 2.7.5 which fixes hundreds of bugs and has important performance improvements but is still compatible with previous versions. 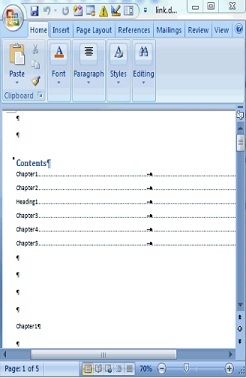 Existing scripts may require minor adjustments but will normally just continue working as before. The stlport4 template library was obsoleted with the TR1 report of the C++ standard and was deprecated and no longer maintained. Apache OpenOffice 4 switches to the system's native standard template library, so extensions written in C++ need to be recompiled with the Apache OpenOffice 4 SDK. As of July 17th 2013 there were 498 verified issues that have been resolved. Support for Java 7, and the Java Access Bridge v2.0.3 implemented in JRE 1.7u6 and later has been restored. Windows OS users requiring Accessibility support for Assistive Technology tools can now use current Oracle releases of the Java SE 7 Runtime Environment and the Java Accessibility API on Windows. Apache OpenOffice 4.0.0 will be flagged by the new Gatekeeper facility in Mac OS X Mountain Lion. This is a new feature to help guard against malware on Mac systems. There is a procedure laid out at the following link to allow applications not installed from the Mac App store to run. See the article at Mac support at http://support.apple.com/kb/HT5290. Apache OpenOffice 4.0.0 supports Java 7, which is the recommended configuration; but (especially on 64-bit Windows) you might receive warnings about the Java version being defective. In that case, download and install the Microsoft Visual C++ 2010 Redistributable Package. If you still have problems, install the most current JRE 6 version. Make sure you get the file "Windows x86 Offline (32-bit)". 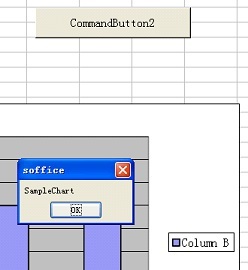 Then configure OpenOffice to use it at "Tools - Options - OpenOffice - Java". See this forum topic for more information. 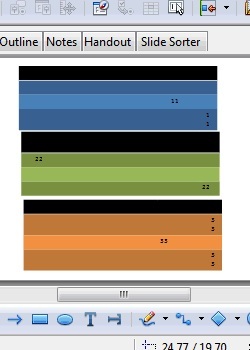 Apache OpenOffice 4.0.0. has got a new color palette. If you have migrated your "personal data" from a previous version, the old color palette is migrated too: you won't see the new palette and (if you are using a non-English version) some of the color names will appear in English only. To get the new palette close Apache OpenOffice and its quickstarter, search for the file “standard.soc” in your Apache OpenOffice user folder and rename the file, to “standard_AOO341.soc” for example. With the next start of Apache OpenOffice the new color palette is transferred to your user folder and is available. Some Extensions need to be updated to work with Apache OpenOffice 4.0 due to API changes and simplifications introduced with the new release. 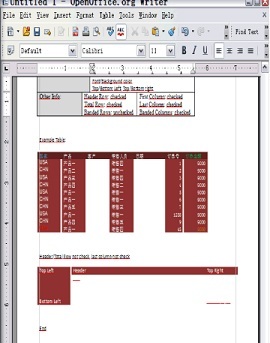 In most cases, the extensions can be easily adapted to work with OpenOffice 4.0 by their developers. Users and developers can find more information in this dedicated wiki page. When installing Apache OpenOffice 4.0.0 on a machine that already has OpenOffice 3.4.1 or 3.4.0 installed on it, the user will be prompted on whether they would like "personal data" from the previous version migrated over to the new version. This includes information like custom spell checking words, dictionaries, extensions, etc. By default this migration is enabled, but the user can disable it via the checkbox. It is safe to click OK on this dialog. For additional upgrade/installation information, please see the Install Guide. You are encouraged to subscribe to the Apache OpenOffice announcement mailing list, to be receive important notifications such as product updates and security patches. To subscribe you can send an email to: announce-subscribe@openoffice.apache.org. This the ORIGINAL ENGLISH PAGE and should not be EDITED by translators. For available translations please see child pages. 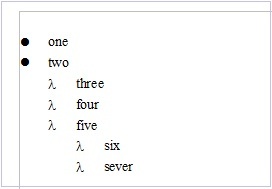 For a new language translation of this page please create a new one or use this all ready copy: https://cwiki.apache.org/confluence/x/hyUHAg template (* copy of) that you could work your texts there. If the title *" * copy of" *is alternated then there is a big change someone else started working that copy, wait a while for me to re-create a new one or ask here.